Years ago I played around with VMWare Unity Mode in VMWare player or VirtualBox's Seemless mode. 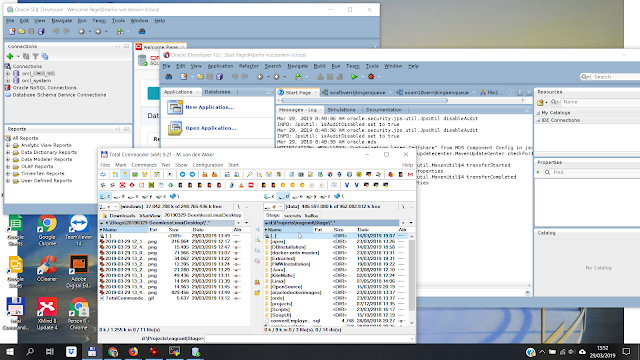 In those modes you start an application on your virtual machine, but the windows appear as running on your host system. Back in the days I ran OpenSuse on my laptop, and had Windows XP or 7 on a Virtual Machine for those cases I had to run PowerPoint. I wasn't too enthousiastic about those modes. Of the two I found that VMWare implemented it the most transparent. But it was quite hard to work with multiple screens, and to start the applications using the embedded menu. Now, I didn't use this in a long time, so it might have been improved. But, lately I work with my VM's (mostly Oracle Linux) using Vagrant most of the time. And I use MobaXterm to connect with them and shortly, I use it to start my Oracle tools from MobaXterm. With the XWindows Server in MobaXterm, working with either SQLDeveloper or JDeveloper is very convenient. And it will allow me to cleanup even my local installments of SQLDeveloper or JDeveloper. It must have been around 2003 that I got introduced into VMWare Workstation by my former colleague Robert. 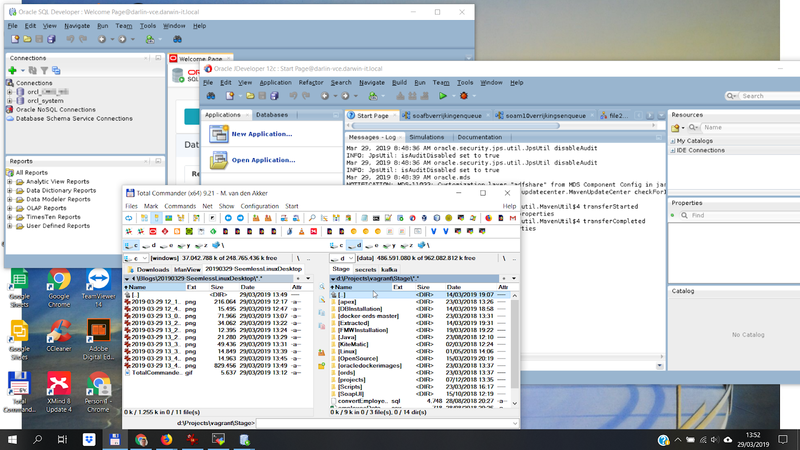 It was an eyeopener to see that you could run multiple PCs on your laptop, separating different versions of Oracle Products that could even 'talk' to eachother! Since all is saved in a folder of files, very handy was that I could do one install and share it with colleagues. 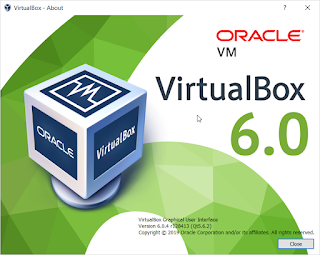 Since Oracle acquired VirtualBox, and because of several direction-changes at VMWare (introduction and revocation of VMWare Server, VMWare player that couldn't create VMs and then it could, and then it couldn't anymore,...), after a while it made sense to me to switch to VirtualBox fully. I had a time that I had both on my laptop. So, it's VirtualBox now and we've come to version 6.0.4 at time of writing. Downloadable from the VirtualBox Download Page. Choose the download for your platform. Installing follows the familiar NNF-Pattern (Next-Next-Finish). And don't forget to download and install the Platform independent Extension Pack. I guess this is piece of cake for you followers. This is quite new for me, since a bit over a year now. I transferred my main installations in a Vagrant project and it's still work in progress. I already wrote a bit about my Vagrant solutions. Last few years I worked on scripting my installations of Oracle Products. Vagrant allows me to automate the creation and provisioning of my VM's. Relieving me from the need to keep multiple VMs up to date. Sharing can be both simpler but also harder. Simpler, because I could share my vagrant project and scripts. But also harder, because the provision scripts should be placed in the proper order. I should implement it in a VCS repo. But also the install-binaries should be placed with the proper name in the proper place. I now have a Software Stage Repository on my second laptop disk, and separate Vagrant projects. But they all have copies of provision scripts for several products. So, database, java, SOA/BPM QuickStart, Weblogic is duplicated per particular Vagrant Project. I want to split it up in a common provision folder and a Choose&Select approach in my Vagrant Projects in a way that I have a simpel Vagrant provisioning in where I can refer to the provisioning of particular products. Anyway, starting up and eventual provisioning of a box is simple: just issue the vagrant up command in the folder with the vagrant file is all you have to do. Suspending a box is done using vagrant suspend. My respected con-colleague Maarten Smeets wrote quite a bit about Vagrant and lately about a few good tips. Vagrant has reached version 2.2.4 recently and can be downloaded here. It follows the famous NNF-pattern. 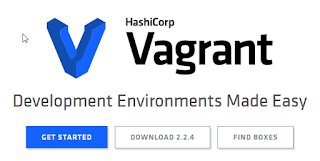 But although it allows you to choose the install directory, it is very devoted to be installed in the c:\HashiCorp\Vagrant\. I quit trying to force it elsewhere. Many of my even respected coworkers stick with their all-time favorite Putty. Putty stays ubiquitous. It is simple, but I allways have found it a bit archaic. I thought I once noticed that the support was terminated. However, just now they just released the stunning version number of 0.71. I don't mean to be sarcastic, and Putty has it's own right of existance. But give MobaXterm a try. It's loaded with nice features, including an SCP client that can follow your SSH session. And as said, also a XWindows Server. So, connect with ssh to your Linux server and run jmc, visualVM, Oracle Universal Installer, Weblogic Configurator, JDeveloper, SQLDeveloper, etc. etc. and the UI will pop-up on your desktop. 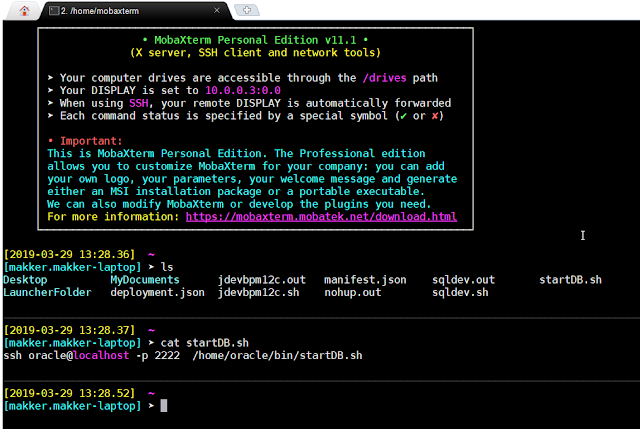 Also MobaXterm includes cygwin so you're able to run a terminal session on Windows. It even allows you to do ps -ef to show your running windows apps! I also discovered that really easy way to implement a tunnel with MobaXterm! You can download it here, in a portable and an installer version. I choose the portable. The free edition includes games (why?) and a limit number of sessions, macros and tunnels. But the professional edition only costs a few bucks/euros. It's my cockpit, allows me to navigate to hot folders quickly, introspect files, navigate through archives, edit them or unpack them, multi-rename files, compare files, etc., etc. I just don't make coffee with it. One of the nice features is the button bar, where you can launch applications. And this is the thing I use for this blog. I realize that I overloaded you with sales talk about my favorite tools. After installing all the tools and having your Vagrant project in place all can be tied together. I have a project that provisions a VM with an Oracle Database, SQLDeveloper, SOASuite, and BPM QuickStart. You can right-click anywhere in the toolbar to edit it, create new buttons. A 'button' that is left empty (no command) is presented as a separation bar. It's simple: the command is vagrant up and important here is that it should be executed in the folder where the vagrant file resides. I provide a tool tip, and I created an icon file from the Vagrant Logo using my favorite image app IrfanView. Clicking the button will fire up the VM and potentially provision it. I copied the button to create a button to suspend the VM. The command there is vagrant suspend. But for the rest it is exactly the same. You can ssh to a remote server from this terminal. Of course you can create a session to a remote server. Doing so for the first time, logging on to the particular user, allows you to save the password for that user. I've already done that, and then I can do a ssh oracle without the need to provide a password. On my remote server that is started already (using the TotalCommander Button), I have a script that starts the database. And as you can see in the screendump: I put that in a script in the home folder. The command is just MobaXterm (I should put MobaXterm in a version-less folder name, with a version-less executable, or create a script for that). It might need some tweeking. But for now I love it and it works like a charm.